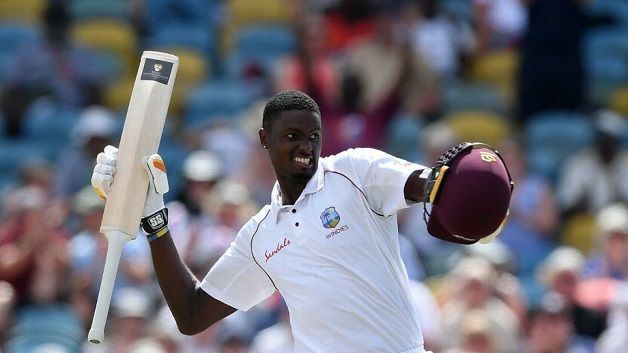 There is almost universal regret that the West Indies captain, Jason Holder, will not be playing in the third Test against England in St Lucia. He is to miss the game because he has been suspended by the International Cricket Council (“ICC”) because of the West Indies’ slow over rate during the second Test in Antigua. This has been Holder’s series. If ever a Test captain deserved a series victory it is he. Almost without exception the pundits anticipated an English triumph, to go with their (largely unexpected) win in Sri Lanka. In a preview of the first Test in Barbados one of the experts was hoping that England could get the game over and done within three days. Holder’s dominance as a player was striking. There was his magnificent double century at the Kensington Oval, his smart bowling throughout the two games, and his slip feeling, quite apart from his captaincy; all helped to make England seem like a third-rate outfit. Holder was not solely responsible for this startling turn of events. But his role, as a leader as much as on the playing side, cannot be underestimated. 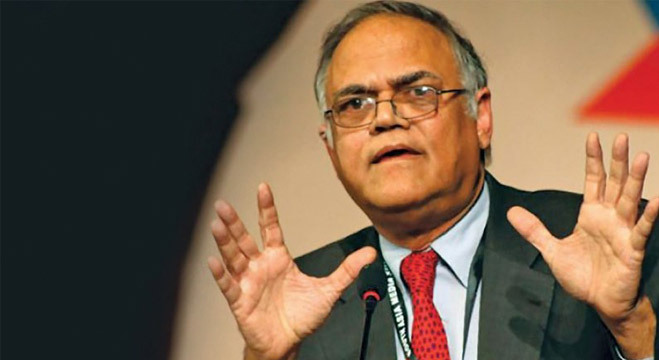 He was given the exceptionally challenging task of being captain of the West Indies cricket team at the age of 23, when he was by no means an established player. There has been ongoing strife between the West Indies board and the leading players, many of whom have opted to play for lucrativeT20 franchises around the globe ahead of Test cricket. Although there have been occasional hints of a renaissance in West Indies Test cricket, these have usually been snuffed out soon enough. But Holder has kept going, always dignified, always with his head held high. Maybe it will be no different this time. Certainly, when West Indies travel it will not be easy. But that is the same for most teams. The mighty Indians lost in South Africa and England in 2018 and managed to win in Australia because the home side were unusually feeble. West Indies remain difficult to beat at home; they drew their most recent home series against Sri Lanka. This, however, was different. The pace attack, led by a rejuvenated Kemar Roach, was formidable. The batting was infinitely superior to England’s in both games. Shane Dowrich, derided in England in 2017, outdid England’s three wicketkeepers. It is genuinely difficult to decide what was the worst part of England’s performance. On balance it was probably the almost incredible capitulation to non-turning off-spinner Roston Chase in the second innings in Barbados. The feeble surrender in the second innings in Antigua – when even the more trenchant critics were expecting at least a bit of a fightback – runs it a close second. West Indies seem to care about red ball cricket. Holder has helped bring together a group of mostly young cricketers who believe in him and want to succeed. Ansari Joseph took the field on the third (and final) day in Antigua hours after his mother had passed away. And they’re not all so young. Darren Bravo had been out of the side for around two years because of differences with the West Indies board. Always regarded as a bit of a show pony- a sort of poor man’s Brian Lara – in Antigua he was more like John Edrich: fifty off 216 balls. Test match performances have been skewed by the fact that, like the other leading countries, England always win at home. In their case, the presence of a bowler, James Anderson, with almost superhuman powers in home conditions, has made a tremendous difference. With the batting, it’s a very different story. Home or away England seem literally always to be 20 for two and 80 for 4; then the late middle order will come to the rescue. The cause of this continuing problem is to a large extent the structure of the professional first-class game and the fixture set-up of the county championship, for generations a breeding ground for successful England cricketers and, indeed, well recognised as an environment where overseas players could hone their skills. Now, though, the administrators could not care less about the domestic red ball game. There’s no money in it. Championship fixtures are pushed to the extremes, April, May and September. Opening batsmen find it a real challenge. Haseeb Hameed, of Lancashire, whom everyone was hailing as the new Geoffrey Boycott when he was opening the batting in India in 2016, has barely made a run since. Rory Burns is an honourable exception. Otherwise the leading run scorers in county cricket, like the veterans James Hildreth and Ian Bell, bat at four and five. Meanwhile, the likes of Jonny Bairstow and Ben Stokes – who, by definition, play almost no county cricket – seem to think it is good enough at international level to whack a few boundaries and “shift the momentum” – dread phrase. But Test cricket has never worked like that. None of this was convincingly disguised by events in Sri Lanka. Keaton Jennings made a fighting century in Galle, but he must be the first specialist opener in Test history to have a technical weakness against pace bowling. As usual -except now, in the Caribbean – England were continually rescued by the tail, usually Ben Foakes and/ or Sam Curran. It is easy and probably correct, at least up to a point, to blame administrators for England’s woes (things are only going to get worse from 2020, when they launch the nonsensical money driven “Hundred”). It is tempting to blame them also for the suspension of Holder. But that may be a little harsh. On the face of it it seems to be bordering on the absurd that a captain should be banned because of a slow over rate – time-wasting effectively – when his side has won the match with over two days to spare. The Laws of cricket say nothing about over rates. We are in the territory of conditions of play and the Code of Conduct, classic bureaucrat country. In the “old days” bowlers and fielders just got on with it. There was no need to worry about over rates. Even so, Len Hutton, one of England’s greatest captains, was not above slowing things down for tactical effect. Brian Close lost the England captaincy because of time wasting in a county match. It was in the 1980s, with Clive Lloyd and a West Indian team containing four fast bowlers, that over rates really started to become an issue. It seemed to get steadily worse, irrespective of who was bowling. It is very common to hear commentators, especially old school ones like David Lloyd, complaining about how long everything seems to take. It is an issue. There is the tactical point, of getting an unfair advantage. But there is also the question of value for money; spectators pay what can be a princely sum to see a full day’s cricket. The administrators’ solution has been the not unreasonable one of penalising the fielding side – and in particular the captain – by fines and, in the last resort, suspension. The Code of Conduct makes it quite clear that a subjective intent to waste time is irrelevant. It is purely a matter of fact. Nobody could have complained about the quality of the entertainment on offer in Antigua. Even the Barmy Army must have been glued to their seats observing the gruesome slow-motion car crash of England’s second innings. That’s not really the point though. The fact is that the over rate did not reach the required minimum. It was not a massive deficit, but it was enough to constitute a “minor over rate offence” for the purposes of the Code of Conduct. Holder’s problem was that it was his second such transgression within twelve months. That brought the suspension into play. It is surely noteworthy that he did not challenge the decision. The decision does seem heavy handed but it is not easy to see how it could be avoided, once a policy decision has been made to penalise fielding sides for slow play. There is a sort of studied inevitability about the quasi-judicial process laid down in the Code of Conduct. It was match referee Jeff Crowe who imposed the suspension on Holder but once the on-field umpires have calculated the over rate and concluded there is a shortfall, that’s pretty much it. And are the umpires supposed to say “Well, this is the best all-rounder in the world and a really good guy, so we’ll let it go”? If there’s one group of people who ought to have been fervently wishing that Holder would not be suspended, it is, paradoxically, Joe Root’s beleaguered England squad. Now they really are on a hiding to nothing. If they beat the hosts, under stand-in captain Kraigg Braithwaite – and stranger things have happened in these dead rubber situations – everyone will say they only won because Holder wasn’t playing. 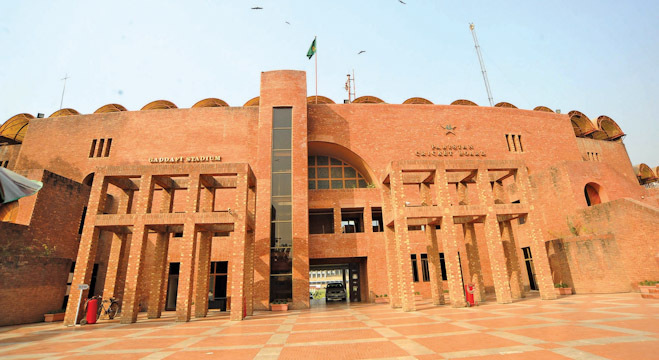 And if they lose…..
Is Adhoc looming on PCB?